City Centre Me’aisem—the beloved community-oriented mall—promises to keep little ones entertained all summer long with a fun and creative programme. ‘Summerland’ is a vibrant zone where children will take part in fun games and workshops encouraging imagination and artistic skills. Parents can enjoy a coffee break or take advantage of the unbeatable offers on their favourite brands, while their kids are having the best time, in a safe and supervised environment. City Centre Me’aisem invites visitors of all ages to try out its thrilling Virtual Reality game in Summerland this season. Participants will be kitted out with VR glasses and will get to ride a virtual jet ski to win retailer vouchers. Players must collect as many bubbles with logos as possible, while dodging obstacles, to win vouchers from their favourite retailers, such as Chili’s, Patchi, Leila Restaurant and 800 Degrees Pizza. Enjoy carefree shopping while the kids have unlimited fun with beach vibes in a supervised environment at ‘Summerland’. Children can get their felt pens out and draw funny faces on seashells. Children are bound to have an exciting time in this workshop where they will be given colours, ribbons and clay to decorate seashells of various shapes and sizes. They can also string together their painted seashells to create beautiful chimes for their bedroom. Children can let their imagination run wild in Summerland and create toy boats using various materials available to them. They can put their creations to test and see if they float in water. Parents can keep children entertained at the ‘Do-It-Yourself’ corner while they run daily errands at City Centre Me’aisem. Children will paint jars and adorn them with stickers to create a mini-aquarium, which they will take home. They can even build miniature kites, hot air balloons and fans with colourful paper to decorate their rooms. They can take selfies and family pictures with exuberant summer-themed backgrounds set up in the area and frame those unforgettable summer moments in dazzling photo frames that they can create from scratch in this corner. Even grown-ups can have their share of fun in Summerland. Shoppers have several chances of making their summer special and winning this season. At City Centre Me’aisem, customers who shop for AED 200 at any store get to take home beach bags and caps with summery motifs, such as flamingos and pineapples specially customsied right in front of them by a professional artist at the mall. Customers who shop for AED 200 at any store in City Centre Me’aisem, City Centre Shindagha and My City Centre Al Barsha until August 4 can also enter a draw to win one of six brand-new Infiniti Q50 cars. For more information on the ‘Summerland’ schedule, DSS offers and prizes, find us on digital and social media platforms: www.citycentremeaisem.com, www.instagram/citycentremeaisem, www.facebook.com/CityCentreMeaisem . 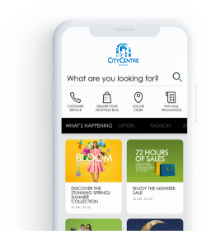 You can also download the City Centres app from the Play or Apple store for all the latest happenings at the mall directly on your phone.